Okay just a quick post today!! 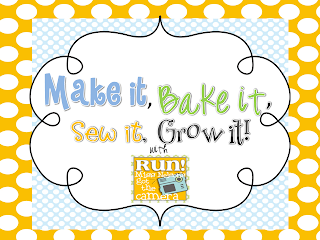 I am linking up with Run Miss Nelson's Got The Camera for her Make It, Bake It, Sew It, Grow It linky!! For Father's day I made my hubby enchiladas, his favorite dish and a Chocolate Haupia Pie for dessert. Chocolate Haupia pie is a family and Hawaiian favorite!! 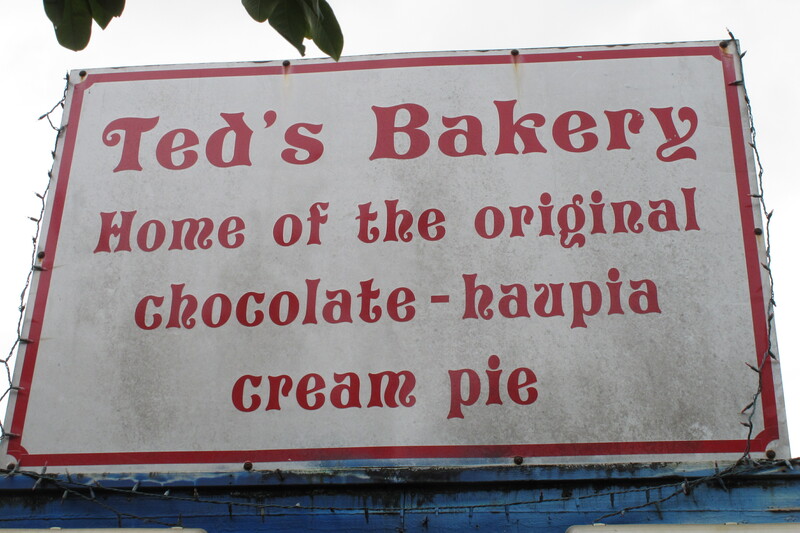 Ted's Bakery here on the North Shore has a heavenly one, but I think they cost around $12. I have never made one and I found this recipe on All Recipes and decided to go for it. Preheat oven to 350 degrees F (175 degrees C). Bake crust for 15 minutes, or until golden brown. Set aside to cool. In a medium saucepan, whisk together milk, coconut milk and 1 cup sugar. In a separate bowl, dissolve the cornstarch in water. Bring coconut mixture to a boil. Reduce to simmer and slowly whisk in the cornstarch. Continue stirring mixture over low heat until thickened, about 3 minutes. In a glass bowl, microwave chocolate chips for 1 minute or until melted. Divide the coconut pudding evenly into two bowls. Mix chocolate into one portion. Spread on the bottom of the pie crust. Pour the remaining portion of pudding on top of the chocolate and spread smooth. Refrigerate for about an hour. Whip cream with 1/4 cup sugar until stiff peaks form. 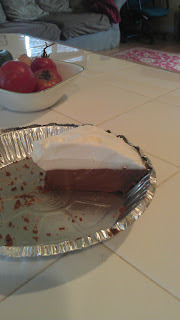 Layer the cream on pie; if desired garnish with chocolate shavings. It came out delicious!! This is all that's left!! Love anything chocolate....looks divine ! You craft,bake, surf, WOW ! This looks yummy! Thanks for linking up. I love new recipes. That looks so good! My son is in Hawaii with his marching band. It is the first time he's ever gone on an airplane. From Michigan to Hawaii, what a first time adventure...Wish I was with him so I could have some of that pie!